On the Weekend Ka Vaar episode of Saturday, like always, Salman Khan made a Dabbang entry and greeted the viewers in his special style. He said that this was the last Weekend Ka Vaar episode as next week, the finale of the show is scheduled to take place (Puneesh Sharma and Akash Dadlani are already in the race). Later, Salman showed the live voting footage of Friday's episode. Soon, Rani Mukerji, who came to promote her new film Hichki, entered the house. She gave a special task to the housemates and asked them to mimic each other. Akash and Vikas Gupta, Shilpa Shinde and Hina Khan and Luv Tyagi and Puneesh played opposite each other. Shilpa cried like Hina and her act got most reactions from the others. But, Rani liked Vikas' act the most (where he mimicked Akash). Later, Rani asked the contestants whose journey in the house gave them 'Hichki'. Akash took Shilpa's name and she also took his name. Soon, Rani Mukerji left the house and wished them luck for the finale. After Rani's exit, Salman interacted with the contestants and scolded Akash for being disrespectful in the task. Also, Salman asked Shilpa, Hina, Vikas and Luv, the nominated contestants, how Akash and Puneesh were given the first and second position respectively in the popularity task. He asked Shilpa why, according to her, Akash is the 'most entertaining' contestant. 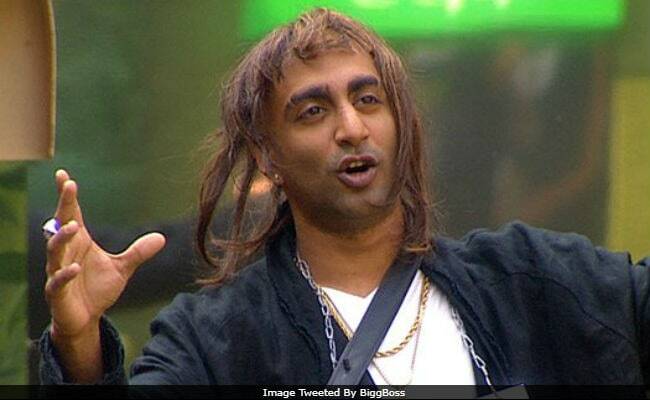 Vikas said that Shilpa and Hina gave up their positions in the task for Akash. Salman gave another chance to Vikas to do the ranking this time, Shilpa and Hina were given the top two positions followed by Vikas, Akash, Luv and Puneesh. Meanwhile, Rani Mukerji came on stage and met Salman. She talks about Salman's marriage and says that he should stop thinking about marriage and just have kids. The duo danced to their hit songs like Chaandi Ki Daal Par and Hata Sawan Ki Ghata. The evicted contestant's name would be announced in Sunday's episode. Whom do you think will get evicted today? Tell us in the comments section below.